POMEPS has had the pleasure of hosting numerous book launches with top-notch scholars in the field of political science since 2010. That being said, it is impossible to showcase all of the excellent work being published by Middle East scholars, though we wish we could. Over the next few weeks we’ll be featuring some of the fascinating books released in 2013 and winter 2014 on the POMEPS Blog. 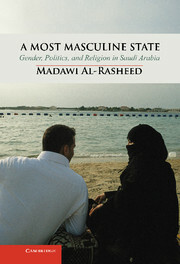 Today, we’re delighted to highlight Madawi Al-Rasheed’s 2013 book A Most Masculine State: Gender, Politics and Religion in Saudi Arabia (Cambridge University Press). 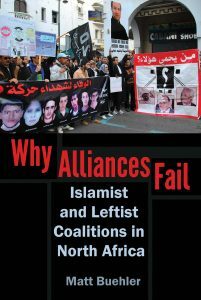 For more on Saudi Arabia from Madawi Al-Rasheed, read “Egypt’s Coup and the Saudi opposition” on the Middle East Channel (August 19, 2013) and “Yes, It Could Happen Here” in POMEPS Briefings 5 “The Saudi Counter-Revolution” (August 9, 2011) . — C.K.